An Endorsed Provider is permitted by the land owners and forest managers to deliver a service or undertake an activity in the Whakarewarewa Forest. An Endorsed Provider must meet a high standard of safety so you will be sure that you will receive a service where your safety and forest experience is paramount. An Endorsed Provider manages their activity alongside other recreational activities in the forest and production forestry activity. They respect the cultural heritage the land and the environment and support the maintenance of tracks and facilities. Please support the Endorsed Providers below. Bigfoot Adventures Ltd has been running successful adventure activities for over thirteen years. We aim to provide safe, fun outdoor experiences for schools, businesses and the general public. Our activities and events range from adventurous to social. Event Impressions manage bookings and functions under the ‘Sails” at the Redwoods. 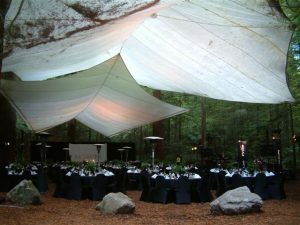 Within the heart of the Redwoods there is a canopied, open-air function spaces that lends itself to all sorts of events. Event Impressions can book the space for you and can assist with making your function a truely unique experience. 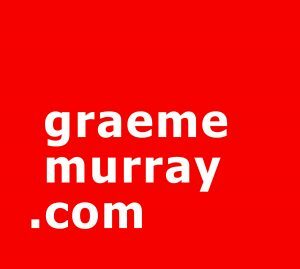 Graeme Murray is a local photographer and a passionate mountain biker having photographed, developed and ridden the trails in the Whakarewarewa Forest for over a decade. He has an impressive portfolio of works including portraiture, action sports, still life, landscape and conceptual. He is also a videographer (including drones) creating commercial, documentaries and sports shows. We give you the knowledge to develop your skills, confidence to push your boundaries and encouragement to enjoy the ride. Over the past 5 years we have been on a journey of discovery. Through national and international instructing programmes, countless books, and chats over beers we have developed a series of skills courses to enable you to enjoy the ride just as much as we do. We call it JoyRide. Professional, rider focused and a hell of a lot of fun. Mohawks focus is to provide bikers with a premium day trip experience for riders of all skill levels. We provide transport, full guiding service, high end electric bikes and a few shots of your experience to share straight from social media. If you can ride a bike, then we can look after the rest. We have tours that cater to riders of all levels and our fleet of electric bikes are very capable of propelling you through some of the best and most beautiful trails in New Zealand. Based in Rotorua, the beating heart and capital of biking in New Zealand, New Zealand Mountain Biking offers first class half day guided biking adventures and bike coaching in the Redwoods. When you join a New Zealand Mountain Biking trip, you’ll be joining a team of people dedicated to ensuring your Redwoods experience is authentic and exciting. We’ll roll out the red carpet with all the extras that make a half day or full days biking truly memorable. Provider of all things ‘Bike’ since 1999. Guided & self guided tours, Hire, Bike FX, Trail Info, Shuttle Passes & Great Coffee. Join us on a Mountain Bike Odyssey for a taste of KIWI riding. Enjoy the natural beauty and hidden treasures Whakarewarewa has to offer. You too can Tour de Whaka for an authentic kiwi MTB adventure. All just a couple of pedal strokes to the trails…just park and ride! Riding Flow shows you the best parts of the forest to suit your ability and just how adventurous you’d like to be. For absolute beginners through to intermediate riders they can also create an adventure just for you. See hidden wonders of the forest, culture, history and geothermal exploration and get assistance on accommodation, transport and other must do’s in Rotorua. Southstar Shuttles uplifts mountain bikers to the top of Whakarewarewa Forest in Rotorua so you can ride down hill all day on some of New Zealand’s best trails. 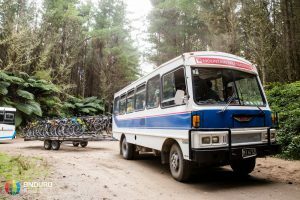 Initially the shuttles leaves at the scheduled start time from the Rotorua MTB car park located on Waipa State Mill Road. For the rest of the day, the shuttles pick up every 10-15 minutes from the corner of Hill and Pipeline Roads. See website for schedule and ticket info. Tuned Rotorua was formed from true passion towards the sport of Mountain Biking. Putting all of our ideas to paper, brainstorming how and what we could provide from our knowledge through effective skills clinics. For Tuned Rotorua to provide the opportunity for the development of all riders who desire is a satisfaction. Tuned Rotorua highly believe in following your passion and taking opportunities to make your experiences that much better, the small things that make the bigger differences!